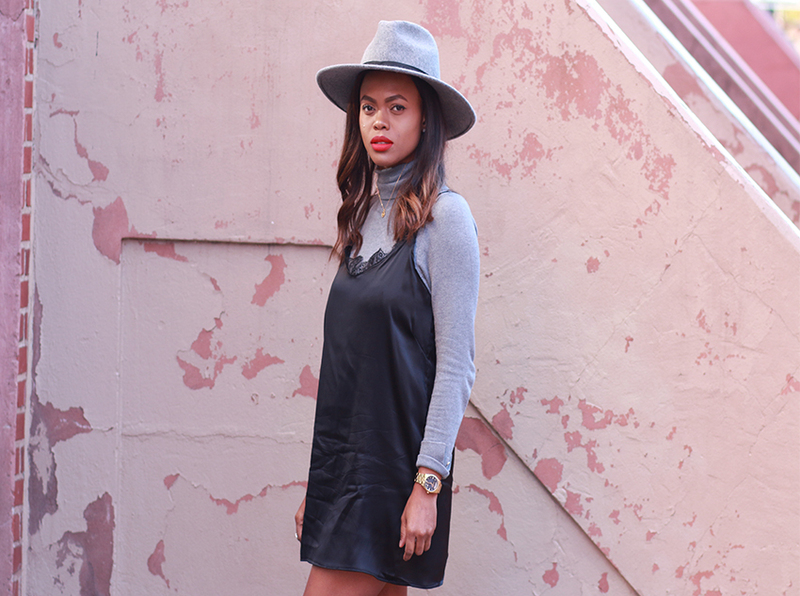 The easiest way to style a slip dress when it's cold outside is to pop it over a turtleneck and knee high boots. This has been my favorite weekend look when I have to go to brunch or run errands. The 90's slip dress has been all the rage lately and it was tricky on how to transition it to the colder temps and over a turtleneck is such a great way to stay warm whilst looking chic. This one is from my line: Dadouchicstudio coming soon.